My menu plan for Monday said that I was going to make fajitas on Wednesday and serve them with chips and queso. I have made fajitas once before and we used to have taco night every once in a while. So Mexican for dinner isn’t all that unusual (although I much prefer going out for Mexican due to my love affair with strawberry margaritas). Despite planning for fajitas, I neglected to plan for any side dishes until yesterday afternoon when I came across this recipe for restaurant style-Mexican rice. I knew that we always had these ingredients on hand with the exception of cumin. Since I needed to go to the store I decided that just buying cumin would be a waste and that I should probably make pico de gallo too. 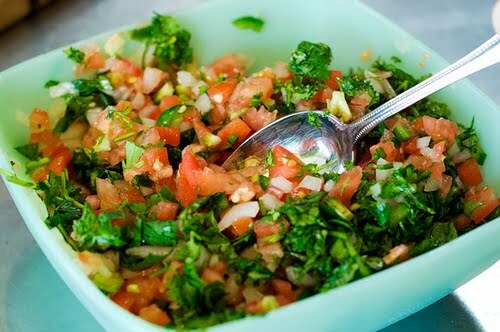 I’ve never made pico but The Pioneer Woman seems to make it a lot and it looks easy and really pretty! So cilantro, a jalapeno, and a lime went on my grocery list. 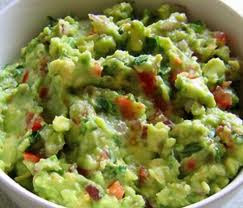 If I had enough time I would have probably ended making guacamole because that’s just the kind of overachiever I am. 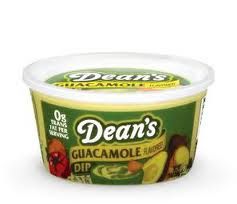 But instead we used store bought guacamole which is decent, but no where near as good as homemade. At this point I’m sure you are really tired of seeing pictures I didn’t actually take and would really just rather see the recipe for fajitas. Well then, here it is. Slice chicken breasts into strips about a 1/2 inch thick. Slice onion into thin strips. Cut the bell pepper in half, remove the core and seeds, and slice into thin strips. In a measuring cup, combine fajita seasoning, 2 tablespoons olive oil, and water. Put chicken, onions, and peppers into a large resealable plastic bag and cover with marinade. Knead to coat. Refrigerate for at least 30 minutes but up to 2 hours. Heat remaining tablespoon of oil in a large skillet over medium-high heat. Pour entire contents of bag into skillet and cook until the veggies are crisp-tender and the chicken is cooked through. Stir in lime juice and cilantro if desired. 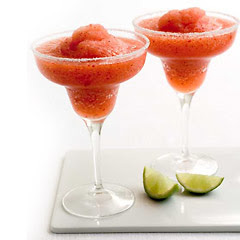 Serve with tortillas, desired toppings, and a strawberry margarita. Next post: Do You Like My New Layout?